Gene was born on May 30, 1952 in Marshall, MN to Roland and Esther (Kindler) Peters. After graduating high school in Marshall MN, Gene attended Southwest State for 2 years; then completed Wilmar Vocational School Photography program. Gene married Laura Ferbuyt on November 23, 1974 in Ghent, MN. Following their marriage, the couple lived in Minnesota, North Dakota, Colorado and Wisconsin, before making Stewartville their home in 1992. Gene was a Self Employed Professional Photographer and drove for Grisim School Bus. Gene was a member of the JC’s in Slayton, MN. Gene was a Third Degree member of the Knights of Columbus and President of the Chamber of Commerce in Stewartville. 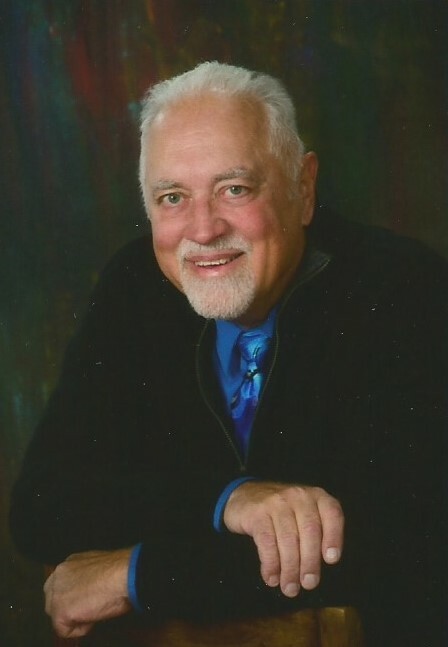 Gene was President of the Minnesota Professional Photographers Association and President of the Southern Minnesota Professional Photographers Association. Gene’s hobbies included hunting, fishing, riding motorcycle and classic cars. Gene was one of the founding members of the Stewie Cruisers Car Club. He enjoyed spending time with friends, and he especially loved time spent with family. Gene is survived by his wife Laura of Stewartville, 3 daughters – Kimberly Peters of Rochester, Kristina Peters of Rochester and Brittney (Jesse) Nelson of Byron; 3 grandchildren – Kyle (Terrie Reed) Peters, Brayden Boyum, and Liliana Nelson and a great-grandchild due in September; his mother - Esther Peters of Stewartville; a sister - Ellen (Jim Costigan) of Sturgeon Bay, WI; a brother – Kenneth Peters of Stillwater, MN; numerous nieces and nephews; and many brothers and sisters-in-laws on Laura’s side. He was preceded in death by his father – Roland Peters. A visitation for family and friends will take place from 4:00 p.m. to 7:00 p.m. on Friday, April 12, 2019 at St. Bernard’s Catholic Church in Stewartville, beginning with a Rosary at 3:30 p.m. The funeral service will take place at 10:30 a.m. on Saturday, April 13 with a visitation one hour prior to the service with Fr. Kevin Connolly officiating. Burial and committal service will take place at St. Bernard’s Catholic Cemetery in Stewartville. In lieu of flowers, the family wishes donations be made to Seasons Hospice in Rochester. Arrangements are with Griffin-Gray Funeral Home in Stewartville. Condolences and memories of Gene are welcome at www.griffin-gray.com.